Hello everyone, long time no see, this is Goo-Noo from Tokyo! Finally fall is here in Tokyo and I feel it’s getting cooler day by day. For those of you in the northern hemisphere, please be careful of catching a cold! Today in this season of culture (so we say in Japanese), I would like to introduce one cute character. 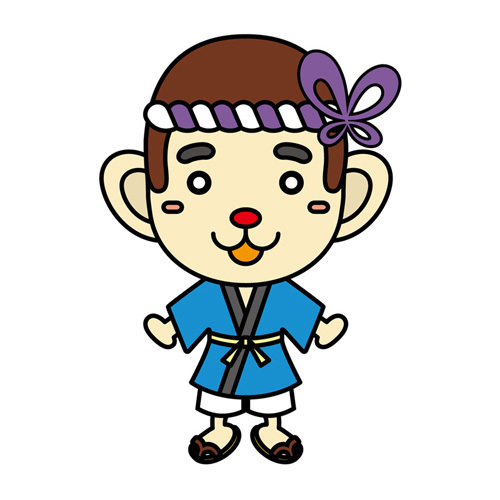 The Japan Foundation finally created so-called　a “yu-ru” character(=a cute and loose mascot of an organization to gain popuparity, )”, named “Jeffkichi” . We got ideas in the office and this monkeylike character got the most votes! Today, I would like to introduce you some personal information about him ! That's it for today! Stay tuned for more Jeffkichi and Have a good weekend everyone!